After a year of hard work, the Julia Morgan 2014 Gold Medal Nomination Magazine as available on Blurb.com. This magazine is a good overall introduction to Julia’s work. It includes text written by all the leading authorities on Julia Morgan. Including new insights to her work. Enjoy. Julia Morgan winner of 2014 AIA Gold Medal! 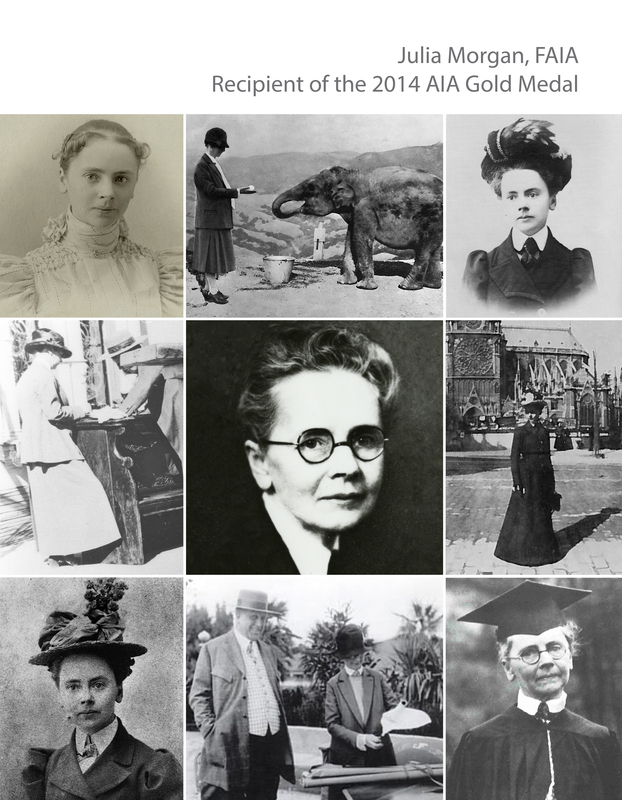 On June 28, 2014 Julia Morgan became the first woman in the 144 year history of the AIA to receive the Gold Medal. The medal, which is solid gold was accepted by Julia Morgan’s great niece North and her great grand niece Lauren Woodland. The honor was met with a standing ovation from her peers. It’s about time. The carving of Julia Morgan’s name on the AIA Gold Medal Wall of Fame. She is winner number 60 and the first woman. What a tribute to a great architect! So long over due.